In many ways, the spread of HIV has been fueled by substance abuse. Shared needles and drug users’ high-risk sexual behaviors are just some of the ways that narcotics such as cocaine have played a key role in the AIDS epidemic in much of the world. There is, however, relatively little research into how drugs can impact the body’s defenses against the virus. But a new UCLA study published in the October issue of the Journal of Leukocyte Biology examines how cocaine affects a unique population of immune cells called quiescent CD4 T cells, which are resistant to the virus that causes AIDS. For the year long in vitro study, the researchers collected blood from healthy human donors and isolated quiescent CD4 T cells. They exposed the cells to cocaine, then infected them with HIV. 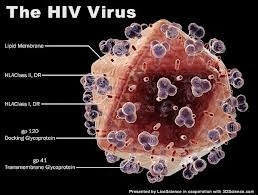 They harvested the samples over different time points to trace the cells’ susceptibility to infection at different stages of HIV’s life cycle, comparing the infected cells with untreated cells. The researchers caution that, as with all in vitro studies, the results may be skewed. Also, they based their research on an acute—that is, brief--cocaine exposure set-up; by contrast, typical drug users are chronic users, meaning that they take the narcotic over extended time. They do, however, have data from their animal models that support and strengthen their observations. The next stage in the research will be to more closely examine the means by which cocaine makes these once resistant cells susceptible to infection and if the drug does indeed lead to a higher viral reservoir, and to use humanized mouse models to study how drug abuse affects HIV infection as well as the efficacy of Highly Active Antiretroviral Therapy (HAART). Study co-authors are Sohn G. Kim, James B. Jung, Dhaval Dixit, Robert Rovner Jr., Jerome A. Zack, and Gayle C. Baldwin, all of UCLA.